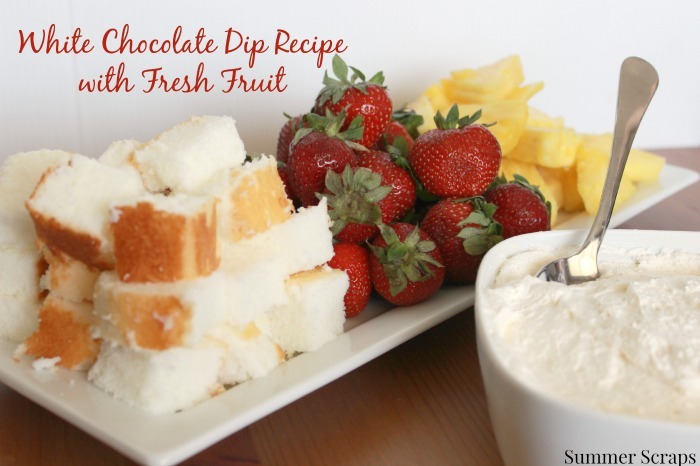 Not much is better in the summertime then some fresh fruit and a yummy dip. This dip is probably the simplest recipe I have ever made and everyone tells me how much they love it! 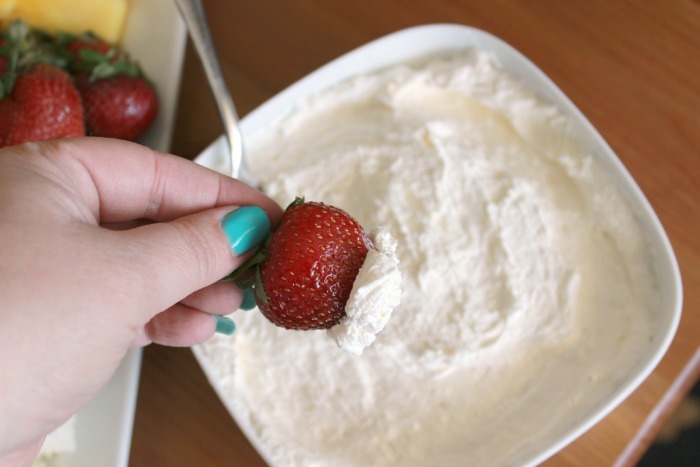 I use this dip in several recipes – like my White Chocolate Strawberry Trifle – or you can put some fresh fruit in a cup top with this dip and add a pretty cookie – this can be used in so many ways! Today is Day #4 our Summer Kick off and we have a great giveaway from World Market (below) – yea! 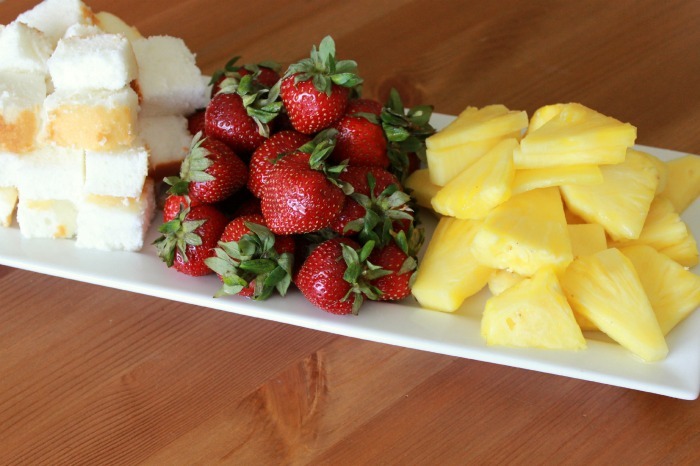 Day 4 – Summer Fruit with White Chocolate Dip – You are Here!! You will want to create your dip at least 4 hours before you serve. Put your Cool Whip in a bowl and add the White Chocolate Jello Instant Pudding powder straight into the Cool Whip. Mix the two ingredients together. If you were to eat this right now it would be pretty gross – the pudding powder is grainy and just not that great. 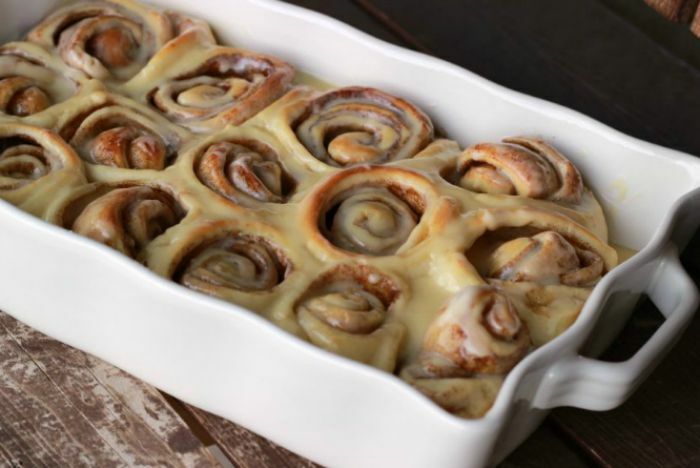 But let it sit for four hours and the powder disolves into the cool whip leaving a White Chocolate flavored cool whip – so tasty and great on desserts! 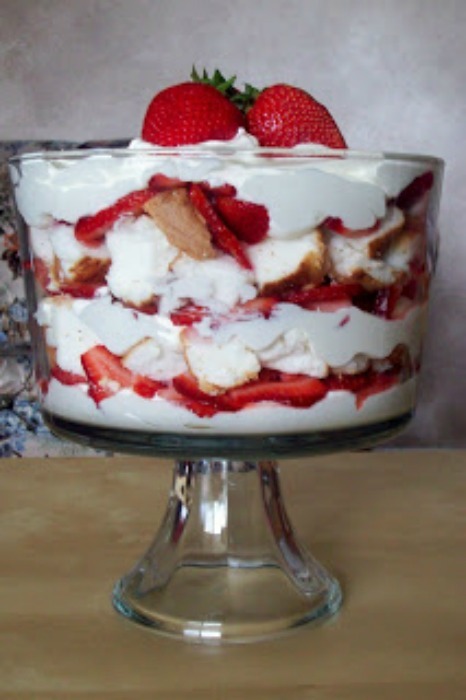 Serve with some cut up fruit and cut up angel food cake and you have a mouthwatering dessert! This is a favorite of ours! Looking for some more great ideas? 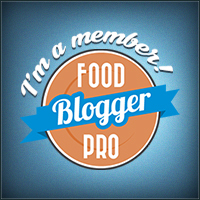 Now on to the Giveaway – Yea!! 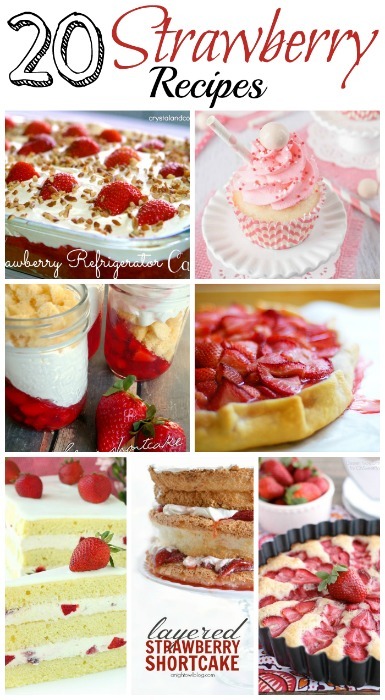 I love easy to make recipes like this one! Love white chocolate, especially with fruit. Can’t wait to try it! I will be adding this to my recipes to try. I love finding easy ones! Thanks! That dip looks mouth watering for sure! Thanks for the giveaway!! Oh my gosh!!! That looks absolutely delicious! 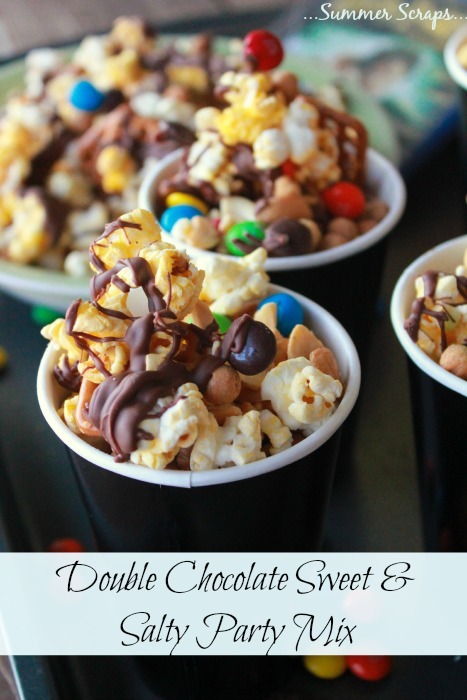 oh my gosh summer this sounds divine!